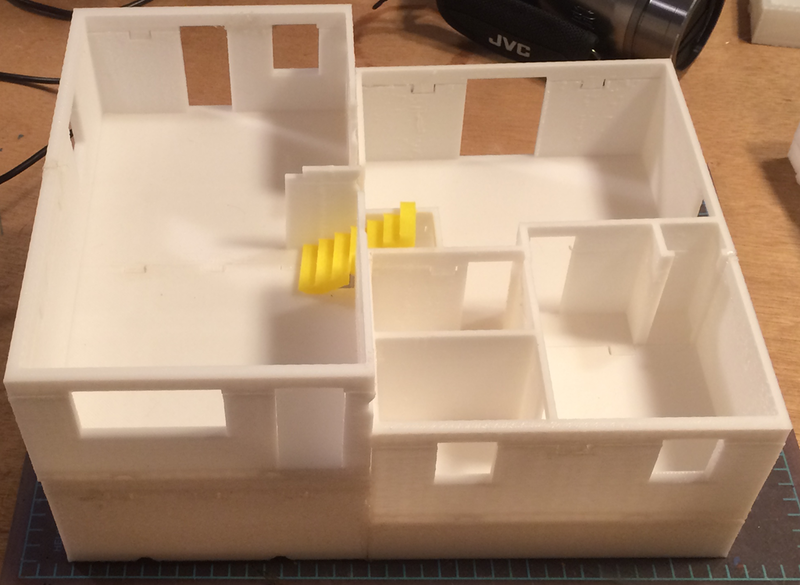 I have 3.5 floors printed! And they go together! With Stairs! I forgot to cut a section out of the “concrete” that the family room sits on to make room for the stairs from the basement up to the family room. I did not make the basement 7ft high like it really is. 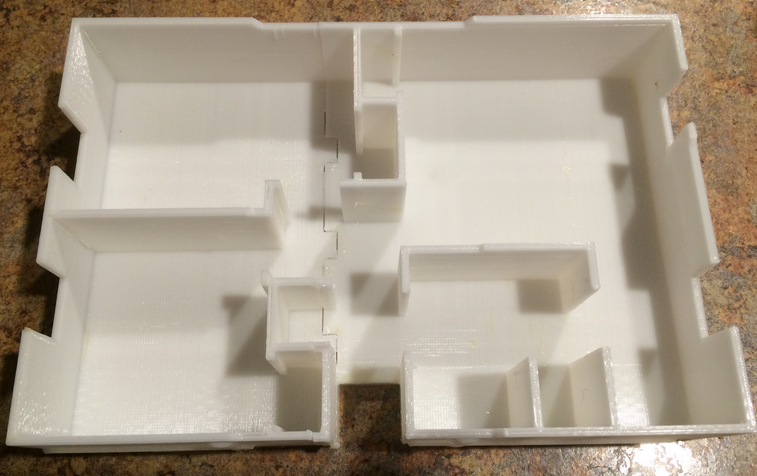 Thus, the kitchen is than in reality – and the stairs are the wrong height. In this same picture, you can also see the problem I have with trying to get the stairs to fit. The kitchen wall does not line up with the bedroom wall. Put the stairs in from the start so they get “cut” correctly. I want to reflect where the ground level is better. 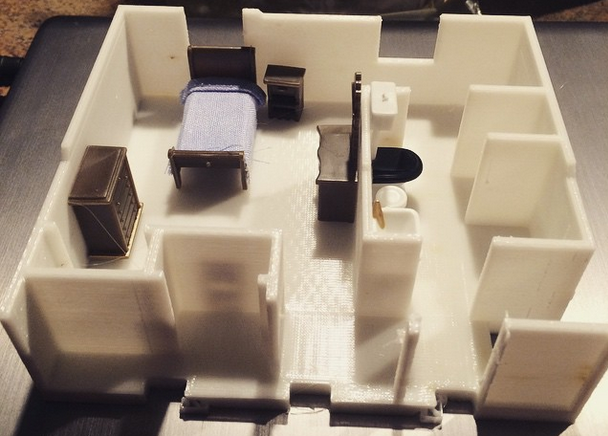 This is the 1:48 scale print of the fourth floor. 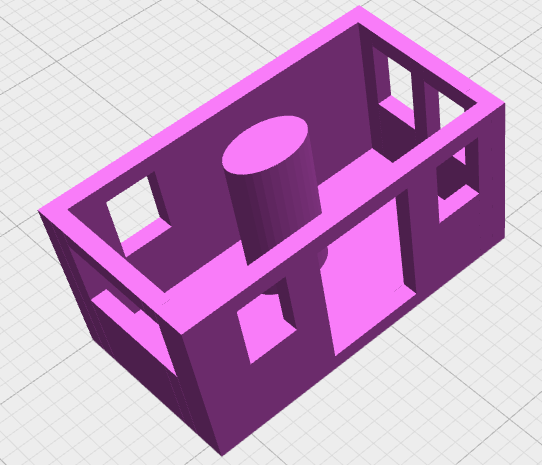 The source is here: https://github.com/sunnywiz/housejscad/tree/Post3 and the STL files you are seeing here are bedroom0.stl, bedroom1.stl, and bedroom2.stl. Problem: The top half doesn’t quite fit the bottom half. This is because the top half isn’t large enough to hold the shape together – when the roof prints, its warm, and as it cools, it wants to shrink, and so it wants to curve. 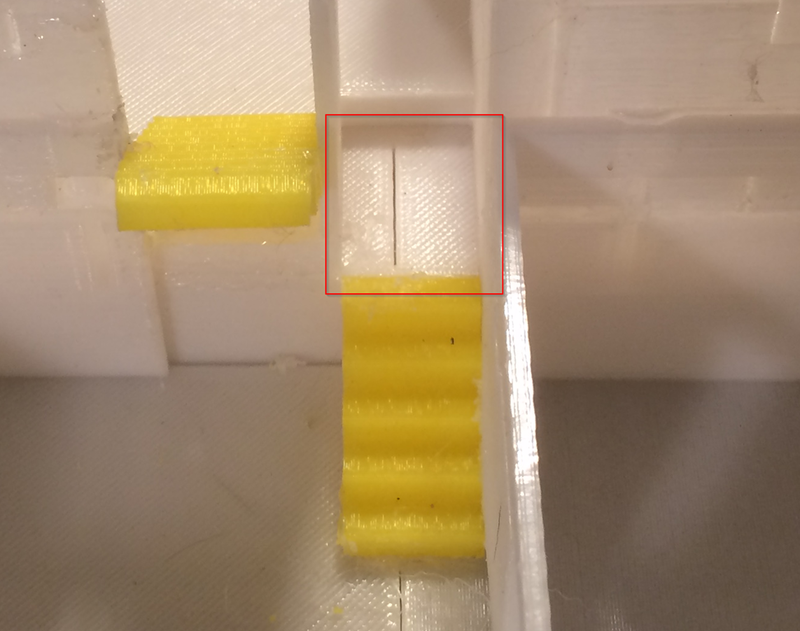 The bottom print wants to do the same, but the walls are large enough to prevent this from happening. Solution: no-roof. Which, my wife points it, is the way to go: then you can easily play with the furniture inside. The side effect of that is, in the current iteration, I won’t be doing top/bottom alignment tabs (similar to the “cross” thing on the left side of the picture). Pretty proud of it so far! 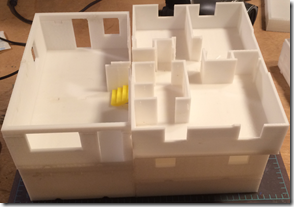 Using OpenJSCAD to print a house (2/N): Small Print! I introduced a “TwoD” class to take the pain out of working in the 2-D character space. I traced out my house’s 4th floor plan to a text file, so I’m dealing with the real thing now rather than test data. I got my 3D printer back up and running – didn’t need any re-calibration after 6 months of no-use. I had to go read the powerpoint of the presentation I gave a while back to re-remember what to do. I’m working on a cutting algorithm that will let me cut with tabs. Its workable now, but needs some fine tuning on gap distances. We’ve (wife and I) decided to do the final print in 1:48 scale – there’s a lot of toy furniture out there available at that scale. And it will be printed in white. More to follow at some point. 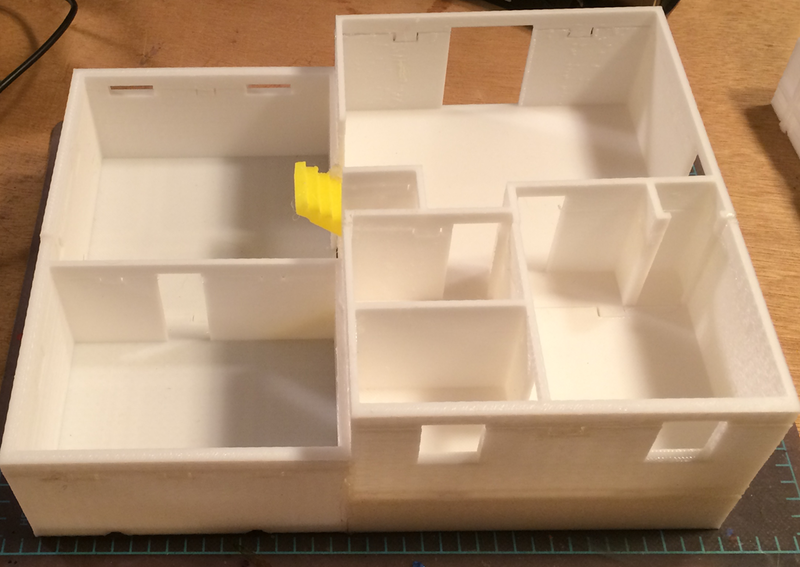 Since before I got my 3D printer, I’ve wanted to make a scale replica of my house. I tried doing it with Legos once – it was cost prohibitive. I came up with a workflow where I drew out the entire house in SweetHome3D, and then exported that, but I ran into manifold problems and stuff like that. So I did one of the floors in Sketchup. However, that was a painfully task – and the resulting model was still too big (I want 1:24 or 1:36 scale). I’d have to slice up the model to print out individual pieces, which means I wanted to cut them in such a way that they joined together with some kind of self-aligning joint. I was about to try it again, but the sheer amount of detail that I had to go through kept holding me back. I wanted a formula. I had tried to do something similar in OpenSCAD before, however, because that language doesn’t have procedural elements, I ran into all kinds of problems. Fresh new start! So I set about to do it. As you can see by this screenshot, I succeeded. The code is here: https://github.com/sunnywiz/housejscad. It took me about 2 hours. You can see the commit log, I committed every time I figured even a small piece of the puzzle out. UPDATE 2/1/2015: the code as of this blog post is tagged with “Post1”, ie https://github.com/sunnywiz/housejscad/releases/tag/Post1 — the code has since evolved. Another blog post is in the works. I guess I could “release to main” every time I do a blog post. Heh. 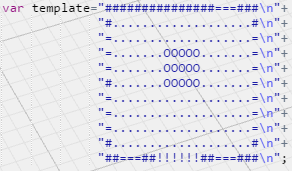 convert the template into a 2D Array, so that I can look for chunks of repeated stuff. Walk the pattern, looking for chunks. Rather than get fancy, I made a list of all chunk sizes from 6×6 down to 2×1, and check for each one at a time. There are more efficient ways to do this, but IAGNI. If a chunk is found, generate the primitive for that chunk, scale it up, and add it to the list. “Consume” the characters which we just generated. When all done, union everything together. 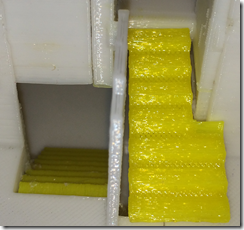 The resulting file is not manifold, however, NetFabb fixes that pretty easily and reliably. The chunking is necessary if I want to represent steps in an area. Otherwise, I didn’t need it. You can define any mapping you want .. from a character to a function that returns a CSG. Could probably use this to generate dungeon levels pretty easily. Or, maybe take a game of NetHack and generate out the level? Coolness! 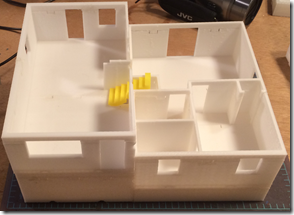 Lay out an actual template of (part of) the house, and fine tune it from there. Probably involve adding “and I want the result to be exactly 150 by 145mm” type scaling. The functions will probably start taking arguments like (dx,dy) => so that the function can draw something intelligent for an area that is dx by dy in size. Preferably, I’d like to create a object / class that does this work, rather than the current style of coding. IAGNI at the moment. Then, maybe running in node, I could take the different floors and convert then into objects, and then do further manipulation on them..
Like slice them into top and bottom pieces. 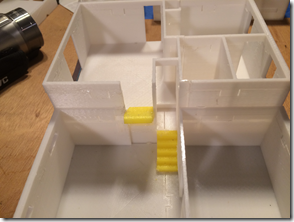 Windows and doors print a lot better upside down – no support material necessary. Would also need to slice them into horizontal pieces. My build platform is limited to 6” square. Seriously thinking about this. I’d probably have a template of “points”, and then a language of “Draw a wall from A to D to E”; and then “place a door on wall from A to D at the intersection of F” or something like that. 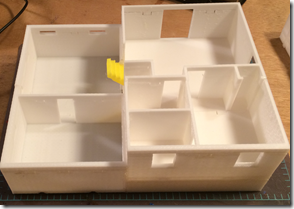 Some day I’ll get that “doll” house printed. Then I can make scale sizes of all my furniture from Lego’s! Fun fun.